January can be one of the hardest times of the year to fish in New England, and not just because of the cold temperatures and ice. Water temps have nearly bottomed out, lakes and ponds are frozen over. Most of the local rivers have shelf ice along their edges and forming in slower pools, and the summer blitzes of saltwater fishing are a distant memory. If you’re like me and don’t ice fish, but need your winter fishing fix, three great options are: hiring a guide, fishing shows, and destination fishing. If you have never hired a fishing guide, January is a great month to start. A well-equipped guide will be able to provide you with an enjoyable day on the water, no matter the weather. I am personally on the water 2 or 3 times per week throughout the winter, and as a result have a good understanding of the seasonal rhythms of the local rivers I frequent. Many guides are often not busy during the winter, finally having time to fish for themselves. 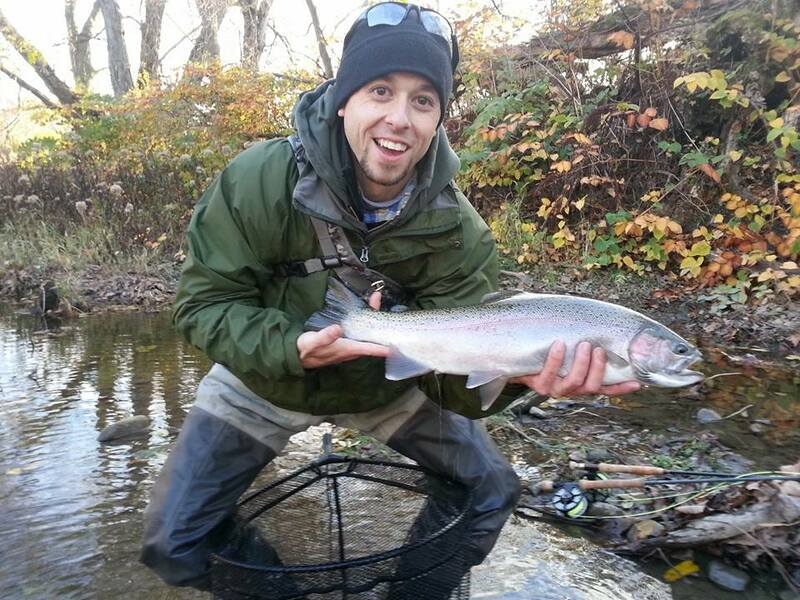 By hiring a guide, you will be making a great effort and giving yourself the best opportunity at some winter fish. A second great option is attending fishing shows. At these shows you will be able to survey the newest equipment coming to the market, listen to highly-informative presentations given by fishing guides and other industry professionals, and talk to local guides about fishing throughout the region. Please check out www.nefishingexpo.com/ and www.osegsportsmens.com for more detailed information. A third option, and personally my favorite, is destination fishing. While this has definitely gotten more complicated as I have a wife and three children to account for, it is still a great way to cure your mid-winter fishing blues. If you are planning a vacation and want to fish an unfamiliar area, I always suggest hiring a guide. Quality fishing guides are easy to find with the help of the internet. Fishing is mainstream enough that even Disney offers guided fishing trips on their properties, with half and full-day options. I personally make trips to the Great Lakes region as often as possible from November through April to fish for steelhead in the numerous tributaries of the area. Hopefully one of those options will help you get through the winter. If none of these options are available to you, I suggest heading to your nearest tackle shop and talking to the staff about their own winter fishing plans. They will have the necessary water/ice conditions, and should be able to offer you a few local fishing options to help get you to ice out. Thanks for reading, tight lines!